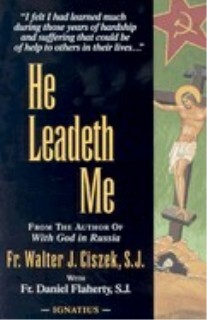 He Leadeth Me is the moving personal story of one man’s spiritual odyssey and the unflagging faith which enabled him to survive the horrendous ordeal that wrenched his body and spirit to near collapse. Captured by the Russian army during World War II and convicted of being a “Vatican spy,” American Jesuit Father Walter J. Ciszek spent some 23 agonizing years in Soviet prisons and the labor camps of Siberia. He here recalls how it was only through an utter reliance on God’s will that he managed to endure. He tells of the courage he found in prayer–a courage that eased the loneliness, the pain, the frustrations, the anguish, the fears, the despair. For, as Ciszek relates, the solace of spiritual contemplation gave him an inner serenity upon which he was able to draw amidst the “arrogance of evil” that surrounded him. Learning to accept even the inhuman work of toiling in Siberian salt mines as a labor pleasing to God, he was able to turn adverse forces into a source of positive value and a means of drawing closer to the compassionate and never-forsaking Divine Spirit. Here is the astonishing true story of the harrowing experiences of a young German seminarian drafted into Hitler’s dreaded SS at the onset of World War II. Without betraying his Christian ideals, against all odds, and in the face of Evil, Gereon Goldmann was able to complete his priestly training, be ordained, and secretly minister to German Catholic soldiers and innocent civilian victims caught up in the horrors of war. How it all came to pass will astound you. Father Goldmann tells of his own amazing experiences of the trials of war, his many escapes from almost certain death, and the diabolical persecution that he and his fellow Catholic soldiers encountered on account of their faith. What emerges is an extraordinary witness to the workings of Divine Providence and the undying power of love, prayer, faith, and sacrifice. The son of Czech immigrants, Fr. 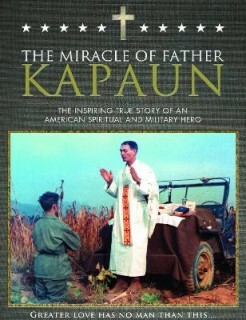 Kapaun grew up on a Kansas farm. This seemingly ordinary farm boy became one of the most inspiring heroes of the Korean War. His cause for canonization has been opened by the Diocese of Wichita, and two medical miracles attributed to him are being investigated by the Vatican. In this documentary, learn his inspiring life story, his heroic work as a chaplain during battle, and his leadership and comfort of fellow American prisoners after capture and torture by the Communists. 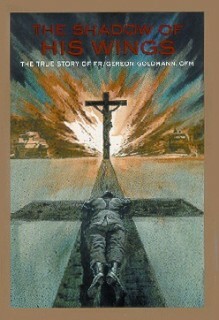 The film features interviews with the soldiers who were imprisoned with Kapaun. A man of incredible courage and faith, he is credited with saving the lives of hundreds of prisoners, instilling them with hope when all hope seemed lost. People of faith today are asking, “What is the price of religious liberty?” In the 1920’s many Catholics in Mexico answered this crucial question at the cost of their very lives. This major motion picture, For Greater Glory: The True Story of Cristiada tells the epic tale of Mexico’s heroic struggle for religious freedom in a little-known conflict called the Cristero War – but many questions still remain. Now you’ll go much deeper into the exciting history behind the movie with this fact-filled companion book – and gain important insight into the on-going fight for religious freedom today. This is the Official Companion Book to the epic film. 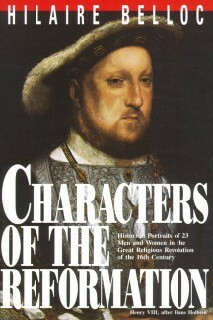 Lavishly illustrated with photos from the film and with historical photos. 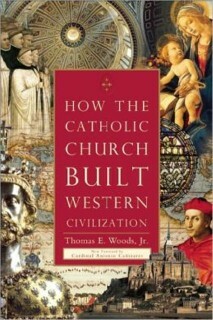 In the new paperback edition of bestselling author’s Thomas E. Woods, Jr.’s How the Catholic Church Built Western Civilization, Woods describes how and why the Catholic church gave Western Civilization some of its most integral and distinctive characteristics. It comes now with a new introduction by Spanish Cardinal of the Roman Catholic Church Antonio Canizares. Ask someone today where Western Civilization originated, and he or she might say Greece or Rome. But what is the ultimate source of Western Civilization? Bestselling author and professor Thomas E. Woods, Jr. provides the long neglected answer: the Catholic Church. Woods goes far beyond the familiar tale. This may well be Belloc’s most interesting work. It includes Henry VIII, Anne Boleyn, Elizabeth I, St. Thomas More, Cranmer, Calvin, Mary Tudor (“Bloody Mary”), Mary Stuart (“Queen of Scots”), Cardinal Richelieu and many others–23 in all. Belloc analyzes their strengths, weaknesses, motives, and mistakes; and shows how this or that seemingly insignificant factor actually changed the course of history.All available from Adoremus Books. Descriptions re-printed with permission Adoremus Books owner.